When it comes to Seafood, Beaufort South Carolina’s native waters have some amazing fare to offer. Plums Restaurant, in the heart of downtown Beaufort prides itself on fresh, local caught seafood, made to order. 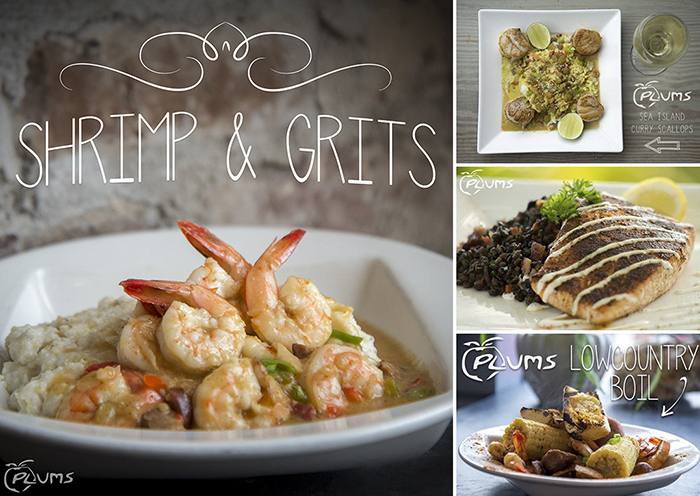 Stop by Plums for lunch or dinner, 7 days a week and taste the catch of the day or local seasonal favorites like Shrimp & Grits or our infamous Lowcountry Boil!